A team of Sales Consultants can come with a large degree of varying personalities and selling styles, making the role of managing this team a highly interactive and often challenging one. 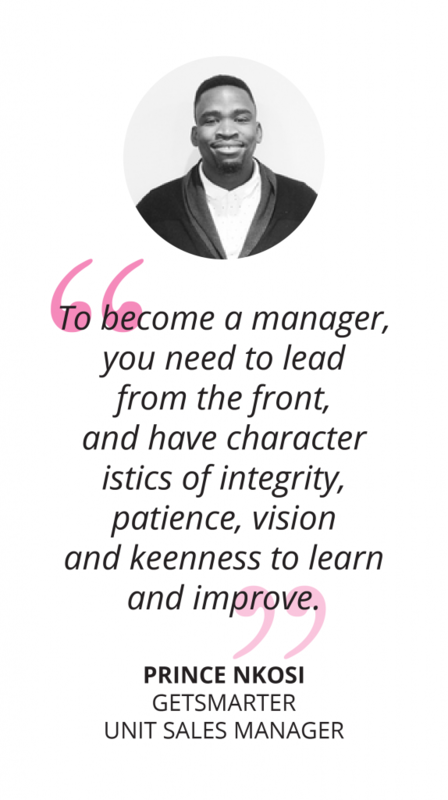 The Sales Manager’s role cannot be understated. On top of having to motivate and guide a team at all times, as a Sales Manager, you’ll be expected to consistently meet your business’s desired goals and daily conversions. 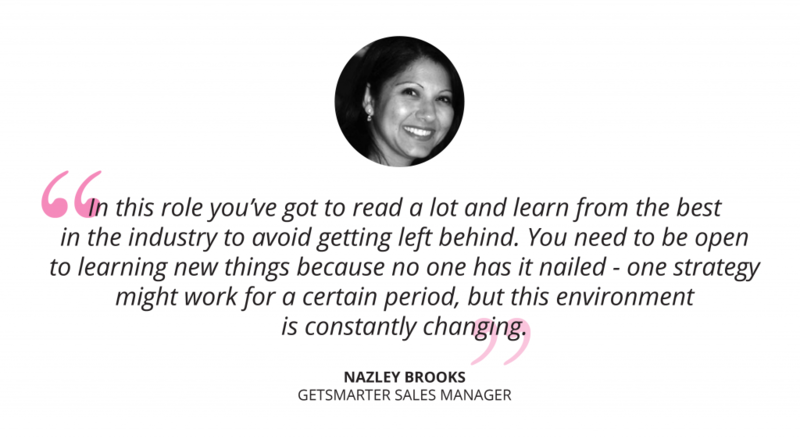 Nazley Brooks, a Sales Manager in Sales and Enrolments at GetSmarter describes how entering this industry is perfect for a professional who has a passion for both people and consulting. As someone who has had experience in sales for over 13 years, she describes how a Sales Manager needs to also embrace the role of becoming a master of change. What are the key responsibilities of a Sales Manager? The role of a Sales Manager depends primarily on the industry and business you find yourself in. Nonetheless, the overarching responsibility of all Sales Managers is to convert leads into customers while managing the operations in between. A Sales Manager will also be expected to train up their team and introduce them to new conversion strategies. Research has shown the majority of sales training fails with consultants forgetting 84% of the content they’ve just covered after 90 days.1 Good managers are a rare find, but by consistently and proactively updating your own skills, your team is sure to follow suit. Working for a digital education company, Nazley has kept up-to-date with the skills relevant to the higher education environment, something often expected of Sales Managers in order to suit the environment they find themselves in. She completed online courses in values-based leadership and labour law to ensure she is leading with the right mindset and achieving performance goals. What is the career path of a Sales Manager? A career in sales comes with a large number of options, whether that means spending the majority of your time on the phone closing deals and converting leads, or sifting through and studying CRMs to reveal opportunities for optimisation. The sales career path can vary, but if you’re wanting to move up to management, simply being a great salesperson is not all it takes to get promoted. A passion for working with people: this really is number one because this job entails a lot of time spent with people. A passion for the industry: you need to actually like the product you’re consulting on – this is what will add great value to your service. Related Content: Find out which skills you need to enter the sales industry. 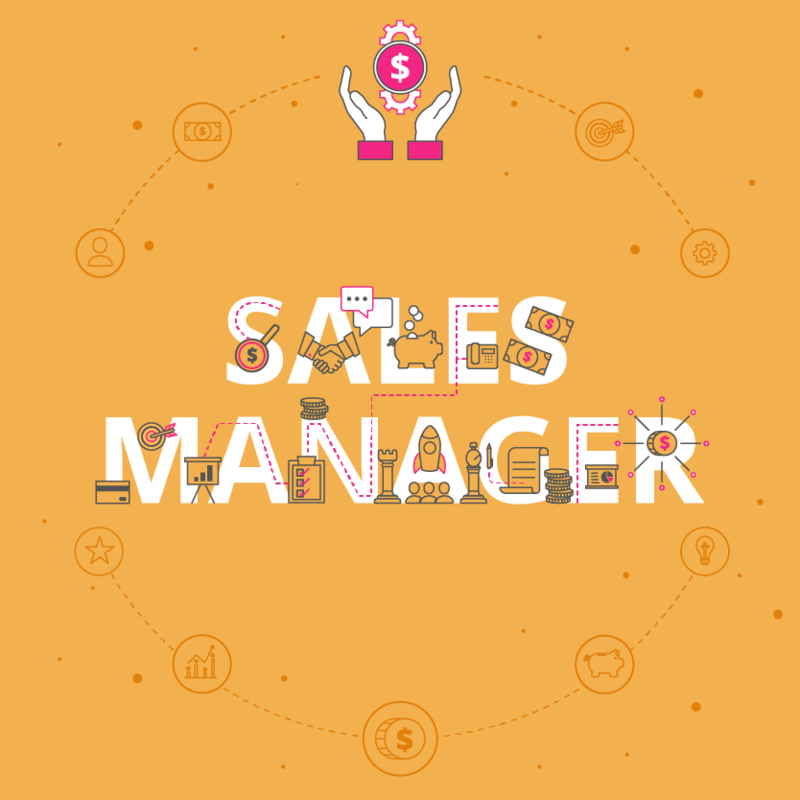 What is the potential salary for a Sales Manager? Become a better listener rather than a good talker. Develop your coaching skills rather than focusing on your individual sales skills. Have superior people skills with emphasis on conflict-resolution. What are the education and training requirements for a Sales Manager? Many Sales Managers have a bachelor’s degree in business or marketing. Some companies will prefer to hire a professional with a Master’s degree. However, those with an abundance of experience might not need any educational formalities.5 If you’re wanting to move into the role of Sales Manager from a lower position, companies will favour those who have taken the initiative to gain specialised skills dependent on the company or industry.6 This can be done by studying online courses or studying further. Given the digital context of the current marketplace, Sales Managers will also do well by gaining the skill to gather and interpret data. Nazley decided to study a data analysis online short course to remain relevant in this competitive industry. “The nature of the environment we find ourselves in, where we are constantly dealing with data to understand the metrics, establishes how we manage people. Within sales, it’s essential to focus not only on qualitative metrics to lead a successful team, but also the quantitative metrics to understand the performance of the team. It’s important to balance both of these by studying data,” says Nazley. Which skills do you need to advance your career as a Sales Manager? Download a course prospectus to find out how one of these online short courses can help you become a Sales Manager.